Direct Response Communications has been offering seminars for the emergency and public safety communication's industry since 1987 and has received overwhelming feedback from its students and participating agencies alike. The highly effective seminars are designed to give Public Safety Officers the tools they need to reduce stress, become more productive, and have a positive attitude toward their life. In 2001, we began developing and offering presentations for General Government Agencies and Private Sector Companies Nationwide. Chris has answered an increasing demand to present as a Keynote Speaker for many conferences and assemblies. 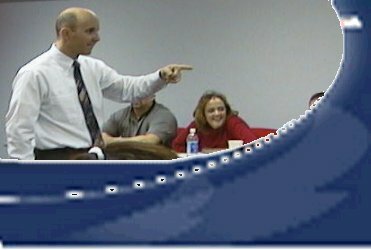 DRC has a unique approach to training and presentations that deliver a message that lasts and impacts its audience for years, not hours. © 2013 Direct Response Communications,Inc.